Grasses are a staple design element for any garden theme from prairie to conifer garden. Grasses add movement, they are soft and structural at the same time, and they transition with ease from spring to late fall and into winter. And, because we selected grasses that don't take over the world with their height and spreading nature, they are easy to clean-up at the end of their season. 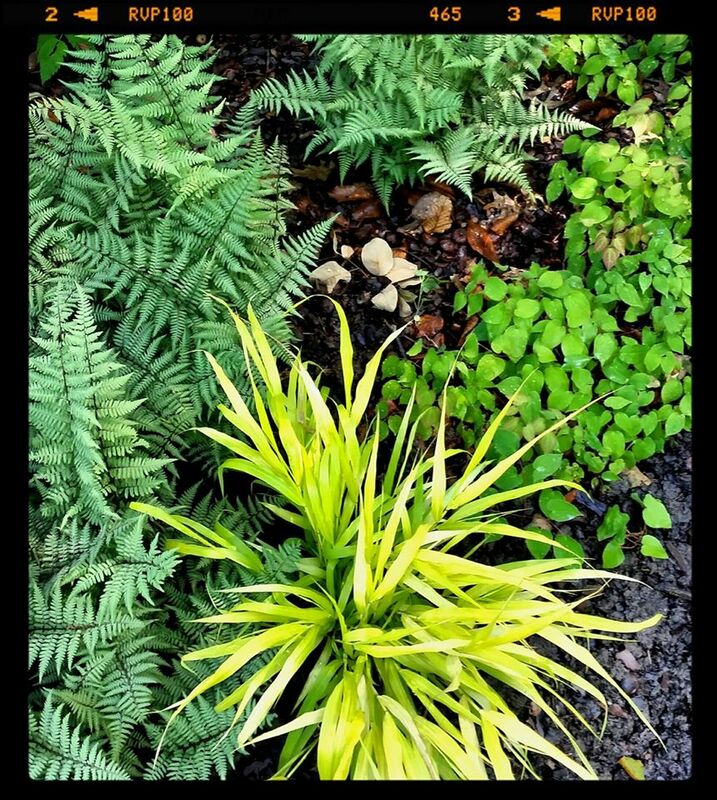 Hakonechloa or Japanese forest grass is making us smile each time we go to a shade garden. The golden tones of the grass cascading over a hard edge is brilliant. We like how the color of the grass lightens a darker garden and how the form of the plant softens a garden often dominated with boldly structured plants. Karl Foerster reed grass has been a mainstay in the landscape for years, and for good reason. It’s tidy, it’s well behaved and it’s easy to cut back come late winter. Often used in simple designs and with just a few plants, we believe this grass really shines when planted in large swathes in a garden, making a bold statement. Shenandoah Switch Grass has been earning its place in the landscape in several of our gardens. In full sun it forms tight, strong stands that transition from reds to soft browns. It’s large enough to anchor a garden, act as a privacy barrier and pull large gardens together. However, it never gets out of control or too large. It makes a statement in the sun garden without dominating. Japanese blood grass was not always on the top of my list until I started designing with it in clean, contemporary gardens. Truth be told, it’s considered a weed and a thug in some gardening circles. But imagine it planted within a long trough, made of copper running down a tightly clipped lawn. If you contain it, it will shine. If you drop in a few clumps here and there, you will regret it. Rubra tends to be a bit more behaved, but as a design element, we still prefer it in tightly regimented areas of the garden. And last, but definitely not least, Pennisetum alopecuroides 'Hameln,’ a most versatile plant that looks great in a formal garden, a prairie garden and in a I-love-to-collect-it-all garden. It does well in sun and part sun, has a lovely round habit, fuzzy, soft looking seeds and it’s tough. Pair it with upright verbena and you will never go wrong!